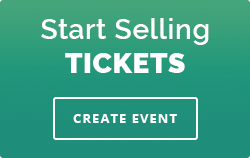 Do I need a merchant account to sell tickets online? 30 Oct Do I need a merchant account? No, you do not need a traditional merchant account to accept credit cards for ticket sales with Ticketstripe. If you would like to accept all major credit cards, simply connect your Ticketstripe account to Stripe. There are no setup fees and it takes just a few minutes to setup. Please follow our detailed tutorial if you need assistance setting up your Stripe account.